Do you have what it takes to start a home renovation franchise? While the remodeling industry has seen its ups and downs over the last several years, it has outperformed almost every other business sector and stayed strong through multiple recessions. In fact, the remodeling industry has grown 23% since 2013, according to the U.S. Census Bureau. Current trends suggest that the industry will top $300 billion by the end of 2016. All of this tells us that today is a great time to open a DreamMaker™ Bath and Kitchen home renovation franchise. So, do you have three of the most important traits we look for in a franchisee? Many home improvement customers have stories of bad experiences with other contractors, the common theme usually revolving around lack of reliability. These operators don’t show up on time or, in some cases, show up at all, vanishing with the down payment. Needless to say, it’s people like that who tend to give the industry a bad name and give potential clients a built-in level of distrust. DreamMaker™ Bath and Kitchen enjoys a well-earned stellar reputation, due in large part to our published Code of Values™, which are supported by time-tested biblical principles and something that we live out each and every day. We put these values into action by treating everyone with respect, by acting with integrity and by continuously operating with a customer-focused mentality. Many people turn to franchising when they tire of the corporate grind and working for someone else. Franchisees tend to have a strong entrepreneurial streak, are able to define and follow their vision for a successful future and are able to work well as part of a team. This is important because we have proven processes and systems in place that provide a clear path to success for our franchisees, and following them is crucial to achieving growth. So, while entrepreneurial independence is important, equally important is the ability to adhere to a proven model and to accept coaching when necessary. 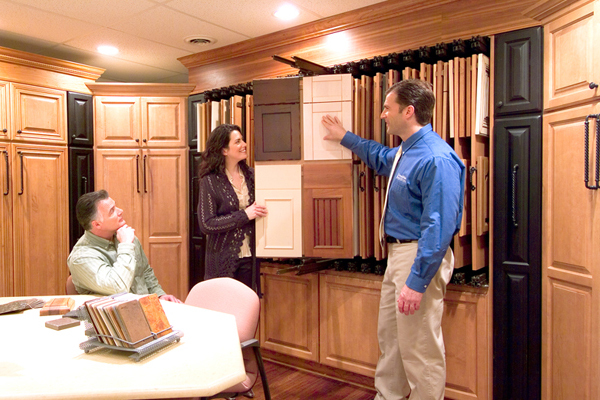 Many of DreamMaker™ Bath and Kitchen’s franchisees came to us with no previous remodeling experience. In fact, some of our most successful operators came from engineering and architectural careers. But it sure helps if you love home design and remodeling. Your clients will depend on you and your team to help design, plan and bring their dream kitchens and baths to life. Of course, beyond those mentioned above, there are many qualities that make for a great DreamMaker™ Bath and Kitchen franchisee, and any combination of one more of them can be successful. For in-depth details about starting a DreamMaker™ Bath and Kitchen home renovation franchise, download our free franchise report and start a conversation with us. You can also learn more by visiting our research pages.